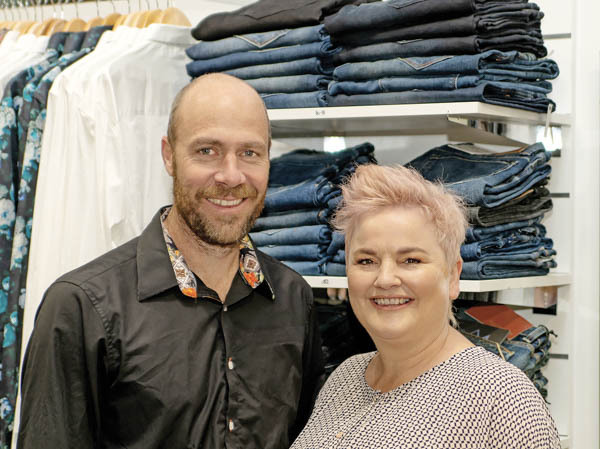 Denizens of Merivale will be excited to hear that Death by Denim is opening its second Christchurch store in the Quinns building on Papanui Road. Owners Kirsty and Scott Malcolm, along with new store manager Mandy Rowe, are thrilled to open the lifestyle boutique in mid-October. Kirsty says their philosophy of old school customer service will carry through to this new venture, where the pleasure of using the five senses in your shopping experience is paramount (yes, every taste is catered for, as Kirsty and Scott love to offer a glass of champagne to clients at weekends). Kirsty has been working with denim since she was 17 and the specialty service of fitting jeans to any body shape is her art and passion. Recognising that our bodies change shape at different life stages, Kirsty loves to help clients find the fit and style that makes them feel great. She says, “Come for the denim – stay for the tees, shirts, dresses, ponchos, vests, skirts, shoes, accessories…” You get the idea. Kirsty says they stock items at a range of price points and the selection of labels is vast. Loved Californian brand Johnny Was is exclusive to Death by Denim in Christchurch, while the range of ‘John Lennon’ shirts would make a stylish statement under a race day suit.